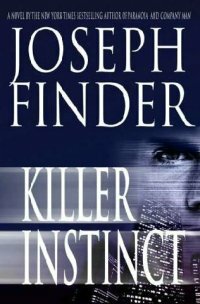 A little while back I was wondering what had happened to Joe Finder, as there had been a two-year hiatus since he published Power Play . 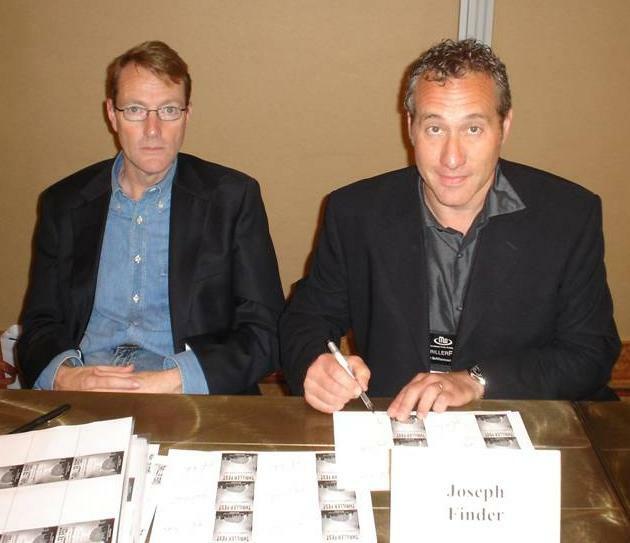 I talked to Joe back last fall at Bouchercon Baltimore when he told me that he was working on a new series, but as he is associated with the Association of Former Intelligence Officers, he was rather tight-lipped about the project. All I knew was that he was changing direction in his writing, from standalone corporate thrillers to a series (but which would still retain the corporate world as a backdrop). Joe assured me that I would receive one of the first ARCs [advance reading copy] off the presses, as he knew how much I enjoy his work, which to be fair is a mild understatement. He also told me that it was titled Vanished and featured corporate investigator Nick Heller. While I was waiting impatiently for his US publishers Minotaur Books and his UK publishers Headline Publishing for a review copy, I got word that his ground-breaker Paranoia had been sold as a film option, and then it got to No 1 in the Amazon Kindle Charts as an eBook. Now this is little surprise to me as Paranoia has a special place on my bookshelf, and I have written about this classic updating of the Faustian pact extensively. The weeks rolled on as I waited patiently for Vanished and by some bizarre coincidence the US ARC from his editor Keith Kahla as well as the UK ARC from his editor Vicki Mellor at Headline arrived on the same day. Needless to say, Vanished jumped to the top of my review pile and as soon as I had read the US ARC, so enraptured was I with the narrative that I read the UK ARC straight afterwards, noticing some minor tweaks for the British readers. Kicking off on a regional airfield outside of LA; corporate security consultant Nick Heller is on the trail of $1 BN of US funds that went missing while en route to Iraq. While back in Washington, it seems that Nick’s brother Roger, a high powered M&A (mergers & acquisitions) corporate executive has ‘vanished’, leaving his wife Lauren in hospital following what appears to be a random mugging. Nick, despite his dislike of his brother, agrees to help uncover what happened to Roger, due to a plea from his nephew Gabe (Roger’s stepson). Utilising all the resources Heller has via his working contacts, friends and people he meets, he spreads out his techno-web to try and discover what happened to his brother. During the investigation, we realise that Roger was working on a project that has a sinister side. It doesn’t help that Roger’s wife Lauren (who also worked at Gifford Industries) is concealing something, and perhaps she knows more than she will reveal. Gabe,while working out his teenage angst, may also hold a key to the disappearance of his stepfather. The theme in Vanished is that no one is what they seem, and that face-values can hide aspects of our lives that perhaps were better left concealed in the shadows. 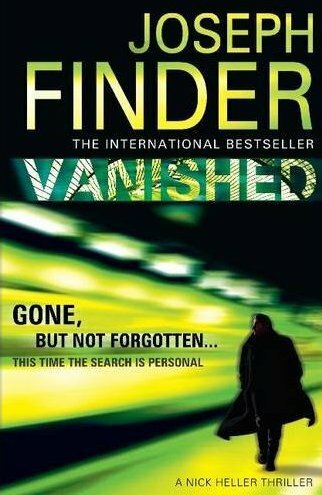 Vanished is written with real compassion, while the backdrop is peppered with technology. The true merit of this novel is its heart, for the characters resonate with humanity and Heller is a decent man concealed behind a rock-hard exterior. There is no cardboard in sight, as all the characters are molded from flesh, despite the deployment of plenty of silicon devices. The novel is edited ruthlessly so there’s not a single wasted word rattling behind the slipstream of the narrative. Coupled with baited hooks carefully hanging at the end of each chapter, you’ll curse Finder for keeping you up into the early hours. Another interesting aspect is the peppering of insights into how our changing world interfaces dangerously with new technology. As is customary when a book engages me, I called up Joe and he patiently answered my questions, providing insight into his new book, his adventures on Twitter, his work in film, his foray into comics, and his love of Spanish chocolate and churros. Firstobvious question – after writing standalones, why did you decide to start a series? I had other reasons to hesitate, too. I didn’t want to give up the turf that I’d discovered in my recent books, which reached so many readers (Paranoia was my first book to hit the New York Times hardcover bestseller list). I love that real-world yet shadowy world of intrigue and conspiracy within the world of the modern corporation. It felt modern and different and cool, to me anyway. How was a private eye going to work in that world? And I felt that private eyes and cops and CIA agents and the like have just been done so many times by so many talented writers. Private-eye series have been done to death since Hammett and Chandler, then Ross Macdonald and John D. McDonald. There didn’t seem to be much juice left in that lemon. If I was going to do a series hero, it would have to be something original. Otherwise, I’d get quickly bored. So one day a couple of years ago I ran into a longtime source of mine who’d been a high-ranking CIA officer for a long time. And he told me that he’d resigned from the Agency to go into the private sector. Now, he said, he was doing the same work – for the CIA, for corporations, for foreign governments, for politicians – that he used to do just for the CIA. But at three or four times the money. Turns out that the CIA has been outsourcing most of its intelligence work in the last few years. And my friend wasn’t alone: a lot of intelligence professionals (in the US and the UK) have been leaving government work to go private. So there I had it: the private spy. James Bond, but private. An updated Travis McGee (one of my all-time favourites) but without the Busted Flush. And when I realised how many great plots my hero – whom I named Nick Heller – could get involved in, I knew that I had something I could happily do for years. So far, so good. So how did you come up with the name Nick Heller? Interesting question. The name just came to me. Then later one of my early readers pointed out that ‘Nick’ was the hero of Company Man and Claire Heller was the hero of High Crimes. So maybe it was an unwitting homage to my earlier books. Or maybe I was just plagiarising myself. Plus, doesn’t Heller connote ‘hell-raiser’? Sounds that way to me. How supportive were your UK and US publishers about this change of direction? They were all, without exception, delighted to hear it. My US and UK agents, too. I did tell them, however, that I might do the occasional standalone, and they were OK with that – just so long as I kept doing Nick Heller. I told them I’d keep writing Nick Heller books until I got bored, because when a writer gets bored with his literary creations, a reader can always tell. You alternate from first person with Nick Heller to third person, did you find that difficult to juggle perspectives? Also, and perhaps more important, the hero in a standalone goes through a dramatic arc: he’s a very different person at the end than he is at the beginning. Well, you can’t do that with a series character. He can’t change significantly in each book, right? So I decided I wanted to try something a bit unusual: to introduce, in each series novel, a different protagonist through whose eyes we see the story, rendered in third person. And Nick Heller’s story would always be told in first person. I haven’t seen that done all that often in a series, which was another reason to try it. And that way I was guaranteed to produce a thriller each time, and not just a mystery. A mystery is a whodunit. A thriller is a howdunnit. A mystery is about solving a crime. A thriller is about the protagonist’s dangerous adventure. Despite the high-tech backdrop, Heller is very human behind his tough exterior, so what came first, the plot or the character? Definitely the character. All novels are about characters. Even when I write standalones, where the premise comes first, I can’t start plotting or writing until I figure out the character. Believe me, I love a great plot, and I work awfully hard at devising clever ones. But clever plots can never substitute for a character that readers fall in love with. I found Vanished a very fast read, though it had huge insights into the darker side of the corporate world, so tell us if it was as fast to write compared to the standalones? That’s hard to say because it took me a while to figure out not only Nick but his biography and family. Plus I had to do some extensive research into what a ‘private spy’ does, and how. And you know me – I love delving into secrets so that my readers get inside information they can’t get anywhere. I did a lot of that with Vanished. But once I had the tools assembled, the work went pretty fast. The start of a series always poses an issue vis-à-vis not allowing the backstory to slow the narrative. Heller’s backstory is drip-fed and very intriguing and integral to the plot. Heller’s father Victor is an interesting character in a Bernie Madoff kind of way, so tell us about how you managed to work the backstory into the plot without it slowing the narrative? Thank you. I thought a lot about that. I hate encountering undigested globs of backstory when I read a novel. So I thought of the novel as, narratively, like a movie – give the readers/viewers only just enough to understand and bond with Nick by titrating his story in drop by drop. After all, this is only the first Nick Heller book. I don’t want to give away his whole backstory in one novel. I have to save stuff up for the next ones. What is it about the dark side of the corporate world that attracts you? And makes it an exciting backdrop for thriller novels? It started with Paranoia – I wanted to do a classic spy novel, a la John le Carre’s The Spy Who Came in From the Cold, but set it in a high-powered but very cool corporation. But I knew nothing about the corporate world. So I started visiting companies like Apple Computer and Hewlett-Packard, interviewing all sorts of executives and secretaries, poking around, getting the sort of real-world texture that anyone who actually works in a corporation stops seeing because it’s so routinised. To me, though, it was all new and fascinating. I felt like an anthropologist doing field work in Fiji: all the natives were strange and different, and their tribal customs were peculiar. And I realised two things. One was that the corporate world was not at all a bland, colourless, hostile place. This is where most of us work, and most of us basically enjoy our work lives. In fact, we spend more time at work than we do at home. Work has become family in some ways. So I needed to render the appeal of it – what was cool about it – and not just what could be scary about it. The other thing was that, in the corporate world, the stakes can be immense. When it comes to billions of dollars, people will do some really bad things if they have to. And when you work somewhere and something really bad is going on and no one’s telling you anything – well, that breeds some powerful paranoia. Michael Crichton showed this in Disclosure and Airframe – there’s some fantastic intrigue in the corporate world. Anyone who thinks the corporation is a boring setting doesn’t know what they’re talking about. There was close to a two-year gap between Power Play and Vanished, can you tell us what happened, as you have been a book-a-year author? That was because of all the research I had to do into the work of the ‘private spy’ – what these guys really do and how they do it. I wanted to get the world right – particularly since I was going to keep going back to this well, year after year. That added several months to my writing cycle, which I considered the start-up costs of the series. So my publishers decided to delay the launch of the series by a whole year. That gave them a nice long lead time to get the word out about the series so the launch would be as strong as possible. How tough is it today to balance your writing and all the promotional work that now comes with the writing territory? I find it quite difficult. The more successful I get, the more travel I have to do, the more interviews, the more events. And believe me, I’m not complaining – I’m extremely grateful that anyone cares. It’s sort of nice to think that, even in this era of Facebook and Twitter and every author having a website and being accessible by email, people still want to meet writers. So I’m happy to do all that. I just have to be really careful to defend the boundaries of my writing life so that when I need to go to ground, I can do it. Are you still working the journalism field? And what are your thoughts on the current state of print journalism due to the economy? I’m actually extremely worried about the state of print journalism. Not just because I love newspapers. But for other reasons as well; newspapers and magazines give you an experience you can’t get on the internet – serendipity. You come across articles you’d never search out on the internet. And there’s just no substitute for the very expensive news bureaus and in-depth investigative reporting of our finest newspapers. We’re losing something extremely important, I fear. A favourite novel of mine is Paranoia; and we heard that a film option has been purchased, so any details? Yes, it has. A few years ago it was optioned by Paramount, which developed several screenplays, including a great one (I thought) by Neil Tolkin, who wrote that excellent Hollywood movie The Player. But there was a change at the top of Paramount and it went into turnaround as a result . . . the typical story. My agent was determined to avoid that happening if at all possible. So when the CEO of the French movie company Gaumont contacted him and told him he was in love with that book and made a strong case for why he could actually get the movie made, my agent asked me to meet him and talk, which I did. He wanted to make an American movie, with American stars and an American director, in English – but with most of the financing coming from France. Since the biggest hurdle in making a movie is always the financing, I thought that sounded pretty good to me. Then I got on the phone with the screenwriter they hired a very smart guy named Barry Levy, who wrote Vantage Point, a clever and well-written movie (even if it wasn’t a big commercial success). So I was reassured. Then again, this being Hollywood, it’s all a crap shoot. We’ll see. I enjoyed with a couple of reservations the film adaptation of your novel High Crimes, so did you meet Ashley Judd or Morgan Freeman? I sure did. The director, Carl Franklin, invited me to play a small part, as a featured extra, so I did five days of shooting, met Ashley and hung out some with Morgan Freeman around the crafts-services table. A very cool experience to act in a movie made from your own book. Very Escher-like, if you know what I mean. Is it true that Company Man was re-titled in some countries as it was thought that it could be confused as a business textbook? I’m not sure why it was retitled, as it was in the UK, where it was renamed No Hiding Place. But I know that I’m always getting grumpy letters from readers telling me that they just bought that book and damn it, they’d already read it when it was called Company Man! Tell us how you’re getting on at Headline Publishing in the UK and their plans for the Nick Heller novels? I love Headline. Vicki Mellor, their crime fiction editor, is super-smart and extremely savvy and enthusiastic. They’ve done a really impressive job already, with Power Play, the first in my contract with them. Headline, like only a few other publishers in the UK (one of them being Little, Brown and the other being Transworld), understand the effectiveness of the slow and steady build. They have long-range plans and are very strategic about it, and they fully intend to make me at least as big a seller in the UK as I am in the US. And – knock wood – I’m convinced they’re going to do it. Will you stick with Heller novels or do you plan to do the occasional stand-alone? For the foreseeable future – which for me is the book I’m writing now and the one after that, which is starting to take shape in my head – I’m thinking only about doing Nick Heller books. I love writing this character. But if an idea comes to me that won’t work as a Nick Heller, I’ll do a standalone. Tell us about the comic book The Cowl that you worked on with Brian Azzarello and the significance to Vanished? This was a very cool story, and it started with research. I was at Bouchercon, the annual US mystery convention, while I was working on Vanished, and I had a subplot in the book involving Nick’s sixteen-year-old nephew, Gabe, who’s secretly writing and illustrating a graphic novel. He gives it to Nick at one point, and it turns out to reveal something very important concerning the boy’s father, which helps Nick solve the big overhanging mystery of the story. But I knew nothing about how comics are really done. 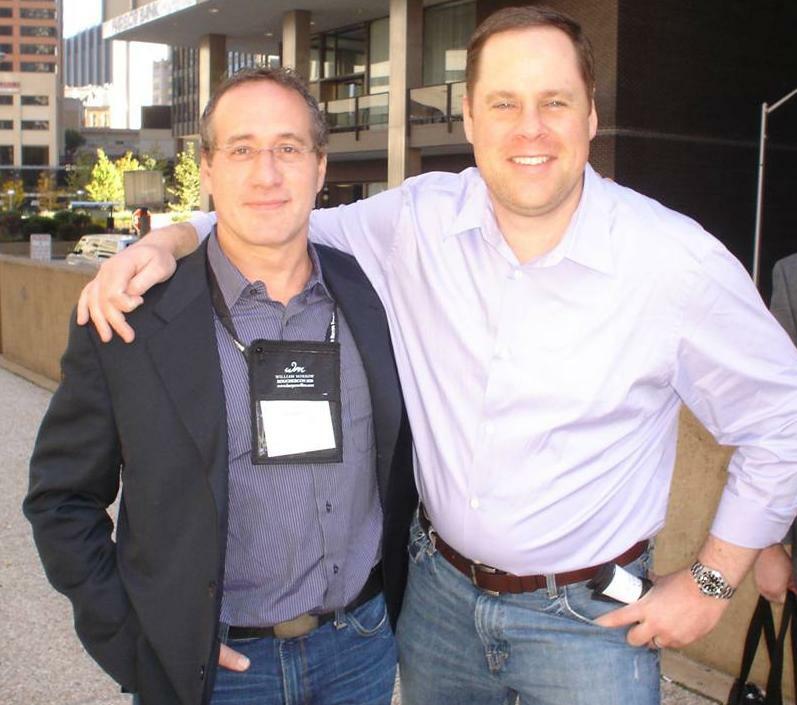 So there I was at Bouchercon, talking to my friend Jason Starr, in fact, when he pointed out a couple of guys from DC Comics. I went up to them and asked if they’d mind giving me a quick ‘Comics For Dummies’ course, which they did. One of them was a senior editor at DC Comics, Will Dennis. The other was a comic-book writer named Brian Azzarello. I had no idea who Brian was. When I talked to my editor later and mentioned I had met some guy named Brian Azzarello, he said, ‘You don’t know who Brian Azzarello is? He’s only one of the most brilliant comic writers alive.’ He’s the author of the 100 Bullets series and, better known to those of us who don’t regularly read comics, of Joker, which is twisted and dark and brilliant and is the basis of Dark Knight. Azzarello and I emailed back and forth, and I became increasingly interested in the modern comics world. I asked him what he thought about the idea of taking Gabe’s fictional comic from Vanished and turning it into an actual comic. And he said not only did that sound cool but he’d be willing to write it himself. Meanwhile, Will Dennis, the DC editor, found me an amazingly talented artist who lives in Spain, named Benito Gallego, who drew in the style of some of the Silver Age comics artists like Joe Kubert and John Buscema. Names that mean nothing to you if you aren’t a comics reader but are legendary if you are. 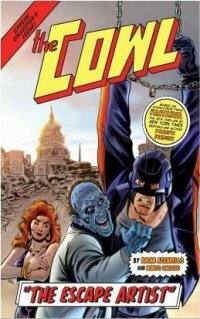 The comic that these guys produced is called The Cowl, and it’s set in a dystopian future Washington, DC. It’s shorter than an average comic book, but I think it’s darkly brilliant. Many thriller writers such as David Morrell, Richard K Morgan, Victor Gischler and others have worked the comics field – so will you start writing comics now? No plans at the moment. Azzarello and I have been toying with an idea for a series, but we’re both overcommitted, so we’ll see. 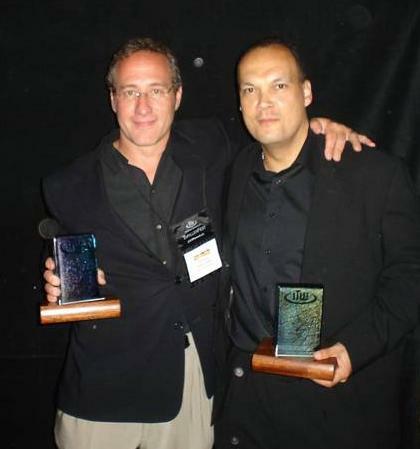 Last year you were the head judge for the 2008 ITW Thriller Award for Best Novel, tell us what work that entailed? It involved reading hundreds of novels, which was incredibly time-consuming. There was plenty of crap, but there were also a lot of really good thrillers. The problem my fellow judges and I faced was how to choose among some very different sorts of thrillers – romantic suspense, action, military, high-tech, quiet and literary, fast and gripping. We ended up choosing Robert Harris’s novel The Ghost, which is a wonderful book, but there are were other novels equally good that year, to be honest. They just didn’t grip everyone in the same way. Considering the high-tech world you write about, it is little surprise that www.joefinder.com is state-of-the art, and you’re now on Twitter - Joseph Finder (JoeFinder) on Twitter, so tell us about what you get up to on Twitter? I started on Twitter for purely promotional reasons, at the suggestion of my publisher. But I learned very quickly that it’s a true community. I learn all kinds of things, get links to articles I ordinarily wouldn’t have come across, and I connect to some really interesting, clever people. I’ve become reluctant to be too promotional, except when I’m passing along good news that I think they might be interested in. My only problem with Twitter is that it’s dangerously addictive. I saw that you Tweeted while in Spain recently, so tell us about your travels there? It was great – I went there to do some publicity for the Spanish edition of Power Play but also to see Barcelona with my wife and daughter, which we loved. And my Twitter friends (‘followers’ is the word, which sounds cultlike) recommended restaurants that turned out to be wonderful. And a number of them ordered me to try churros and chocolate, which I’d never had before. I left Barcelona a lot heavier as a result. So any hints as to what is in store for Nick Heller in book #2? Just that Nick has moved to Boston, and I’m in the middle of writing it right now and I really hate stopping work to do anything else. And are you planning a tour? 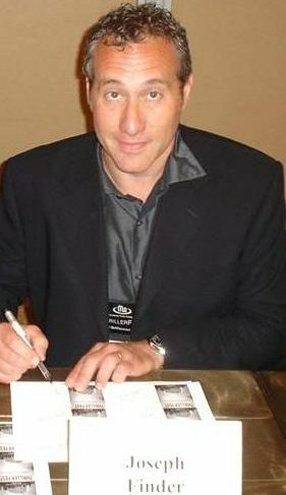 I know you attended Thrillerfest in New York, so any plans for Bouchercon Indianapolis this fall? I go to Bouchercon and Thrillerfest. I really enjoy both of them, particularly because it gives me the chance to reconnect with my fellow writers, whom I love spending time with. My US tour this year is fairly short because apparently August is a lousy time to do book signings. And I believe I’ll be touring the UK in February or so for Vanished. And what books have passed your reading table recently that you enjoyed? A long list, far too many. The latest from Lee Child and Harlan Coben, of course, which are both excellent. As are the latest from Lisa Gardner and Lisa Scottoline. Gregg Hurwitz’s Trust No One [We Know in the UK]. Mark Sullivan’s Triple Cross. Steve Berry’s The Paris Vendetta. All really good. Sean Black’s Lockdown is fast-paced and totally gripping. I know I’m going to accidentally omit some of my favorites. Of course, I’ve definitely left out the ones I didn’t like. Thank you for your enthusiasm and support, Ali! 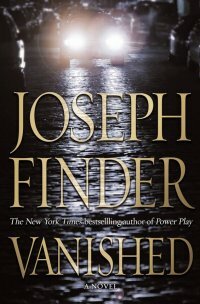 More information about Joe Finder is available here and an excerpt here from Vanished. An edited version of this interview first appeared at The Rap Sheet.